Leave and drive 1 hour to Nahualá, a villages located in the highlands, a village with a lot of authenticity. Upon arrival, we head towards its central square, where we appreciate its church and local market. Then we will know the elaboration of the “piedra de moler”, women working in looms and with your help will be elaborated and taste a dish typical of the region. Explore the lake by Kayak! This tour begins in Panajachel and takes about three hours. 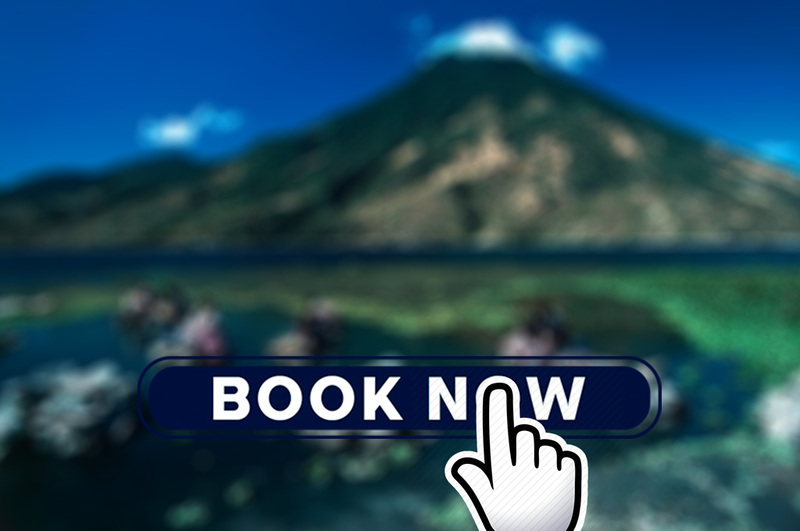 We will navigate the beautiful waters of Lake Atitlán and pay a visit to Santa Catarina Palopó, where you can enjoy a refreshing bath in the lake. Enjoy the conifer forests and their welcoming coolness on a beautiful three hour hike! This tour will take you to the village of Pacamán, from where we will start the hike into the conifer forests. The winding paths will take you along farmlands and offers stunning views of the lake. At the highest point we will be able to see all the nearby town at the shores of the lake. We then descend to Santa Catarina Palopó, from where we will take a boat back to Panajachel.